Acute care hospitals focus on short-term treatment for a severe injury or illness, an urgent medical condition or surgery recovery. It typically involves a team of healthcare professionals covering a wide range of medical and surgical specialties. 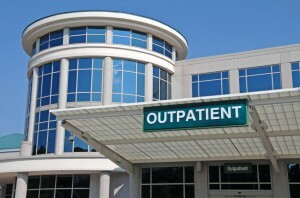 Patients may stay in either a hospital or receive treatment on an outpatient basis. An acute care hospital is a short-term hospital that has the facilities, medical staff, and other personnel to provide the diagnosis, care and treatment of acute conditions. They may be not-for-profit or investor-owned and range from free standing community hospitals to physician owned to hospital systems, including those with local, regional and national footprints, academic medical centers, and children’s hospitals. Ambulatory Alliances is one of the leaders in providing acute care hospital M&A advisory services to creditors, equity investor board of directors, court appointed trustees, management teams, landlords, private equity groups, consolidators, hospital health systems and physician owners. We take a thorough and strategic approach to analyzing the acute care hospital business, making recommended actions to increase value and then leading the execution of the agreed upon direction. We are with our clients from commencement through the acute care hospital sales process and beyond. We have worked with various physician owned acute care hospitals to determine the most advantageous time to sell: how to maximize fair market valuations, EBITDA and sales price multiples as well as providing solutions for operational issues that affect the acute care hospital’s value. Our advisory services assignments include: sell side and buy side mergers & acquisitions; hospital mergers with ambulatory surgery center; joint ventures and strategic alliances; turnarounds and workouts; assessment and evaluations of strategic alternatives; valuations; and raising equity and debt capital from local and commercial banks, finance companies, private investors, hedge funds, private equity and mezzanine/subordinated debt. With significant transactional experience, superior negotiation skills, deep industry and operational knowledge and close relationships, Ambulatory Alliances is the right partner to make complex acute care hospital deals happen for you.